Cats swinging from Christmas trees and dangling from holiday decorations make great viral video entertainment but it’s not so funny when the live action and ensuing chaos is happening in your own living room. Not to mention it can also be very dangerous. Here are five ways to cat-proof your festive decorations to keep them looking fabulous while protecting your feline friends. Typical cat toys such as shiny crinkly balls, furry catnip-filled mice, and other critters are often used as tree decorations in a cat household. However, they are not suitable tree embellishments because cats can’t resist their temptation to climb the tree, practicing their pounce and prey skills, which could even bring the tree to the ground. Similarly, these kinds of toys don’t make great stocking stuffers in holiday stockings strung across a mantelpiece. You may have to forego the stockings and other mantelpiece décor altogether if your furry friends are likely to climb up and investigate driven by their insatiable feline curiosity. However, you can deter tree-climbing and mantelpiece investigations by sprinkling ordinary household pepper on the branches and on mantelpiece decorations. A couple of sniffs and sneezes will send your feline a strong message! Holiday lights both on a tree and in other parts of the home can mean lots of cables on the floor connected to electrical sockets. Chewing on wiring is highly dangerous. Pets have been known to burn their mouths and singe their whiskers. Seriously bad accidents can even result in fatal electrocution. If it’s impossible to hide cables under rugs or tree skirts, consider purchasing special cable covers infused with citronella that will deter chewing. Speaking of the base of the tree, some cats are instantly drawn to paper products. Beautifully wrapped gifts with huge curly bows made from multiple strands of ribbons are deemed cat toys from the get-go. Serial feline paper eaters will find gift bags stuffed with tissue paper very appealing too. 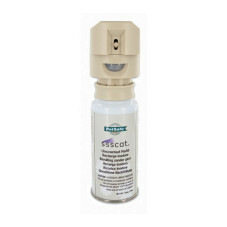 Placing a PetSafe® Ssscat Spray Deterrent between the packages under the tree will help keep the gifts intact and the cats at a safe distance. It is motion-activated and emits a burst of a harmless odorless spray, deterring pets up to three feet away. Real candles are dangerous in any home with pets and young children. There is a wide selection of flameless candles available in a huge variety of colors and sizes and they create the same wonderful atmosphere and glow. According to Consumer Affairs, certain types of yuletide plants such as mistletoe and holly berries are toxic to pets. Chewing on them can result in severe vomiting and diarrhea. If holly is ingested, most pets lip-smack, drool, and shake their heads excessively due to injuries from the spiny leaves. Poinsettias are another popular holiday flower used to decorate the home. The white milk sap in the leaves is very toxic to pets. If you can’t place such plants well out of your cat’s reach, consider using silk ones and sprinkle them with pepper so that they are not munched on either. Finally, whether your holiday tree is a real fir or a fake one, the best way to ensure that your cat gets the memo that it’s not a cat tree is to engage her with some exciting distraction toys to keep her attention elsewhere. The PetSafe® Laser Tail is an automatic mobile laser toy that moves around the floor while its laser “tail” follows behind and creates patterns that entice felines to follow in hot pursuit. 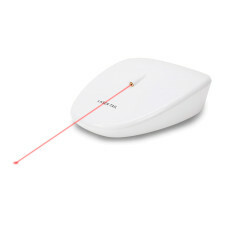 The laser toy even has a timer that rests after ten minutes for safe playtime. This prevents cats from being over-stimulated and helps to keep the thrill of the chase fresh for the next game. In multi-cat households, you can double the fun with the PetSafe® Dart Duo Laser that features two safe laser beams that can be set for five, 10, 15 or 20 minutes of playtime. It has adjustable speeds. The timer and speed settings offer 16 different and exciting play combinations. If you don’t have a laser toy, consider buying one and setting it up as an early holiday gift for your favorite feline. Distraction toys give cats great mental and physical stimulation and they will keep felines engaged and your decorations intact. And the fun will continue long after the holidays are over.